If you are new to this blog please read the Introduction page. On my laptop the page list is on the left. On the iPad and Android you need to click on the word NAVIGATION above to expose the page list. The Introduction page is at the bottom. You may be thinking I’ve given up on this blog. It’s been three months or so since I last added anything. I haven’t quit I’ve just gotten really slow. 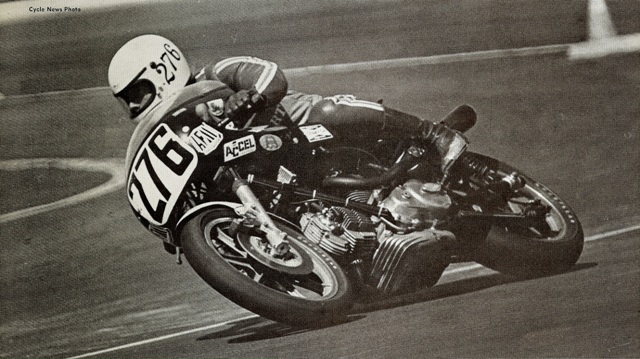 This newest page is a closer look at the British Superbike Series, why it’s so good at churning out World Superbike racers, and a brief comparison to our own MotoAmerica series. Look for the page “VH. Another Look at British Superbike” or click on This Link. It seems that I’ve been posting something every couple of months. I’ve just added the mid-summer page about a swell motorcycle ride in the State of Jefferson. Look for the page titled “VI. The State of Jefferson National Scenic Byway,” or click the link HERE. Prompted by a magazine ad I decided to take a look at the class of “Naked Middleweight” motorcycles. I found a lot more than I expected, and I thought you might want to know. See the page titled VJ. The Naked Middleweights or click the link. Nicky Hayden passed away five days after being hit by a car on May 17th. He was riding his bicycle in Italy at the time. Reports say he suffered severe brain and torso damage. I didn’t know Nicky (met him once in an autograph line) but always admired his riding, his work ethic and his comments during interviews. He will be missed by many. RIP Nicky. I’ve given up on the club-racing article I was working on and instead republished an article from Cycle magazine. This is the last of the Beyond Racer Road articles. And I had to cheat to get this, the 7th in the series. This one is about a Superbike BMW, not a Ducati, and the guest author, Kevin Cameron, was Cycle’s technical editor at the time. Look for the page VK. Beyond Racer Road 7 – The Making of a BMW Superbike or click the link. I have finally finished and published the story of our trip to Birmingham, Alabama. It’s a bit longer than most of the stories in this blog, but it’s not to bad at about 2,000 words. Y0u can find it at the page titled VN. Barber Vintage Festival 2016.